Ginger Bobo Shofner has been a member of the firm since 1998 and has a general practice with an emphasis in the areas of creditor bankruptcy and local government. She has represented several local city and county governments in the middle Tennessee area and served as a Municipal Court Judge for eight years. 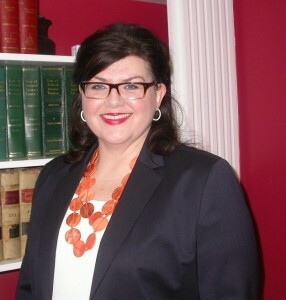 Ginger is currently City Attorney for both Shelbyville and Wartrace, Tennessee. Ginger is a native of Shelbyville, having graduated from Central High School in 1986. She received her Bachelor of Science degree in Accounting from the University of Alabama in 1990, and her law degree from The University of Alabama School of Law in 1993. After living in Memphis for three years where she worked for Crawford & Company, she and her husband, Chris, returned to their hometown of Shelbyville. They are the proud parents of one daughter, Willa Kate.